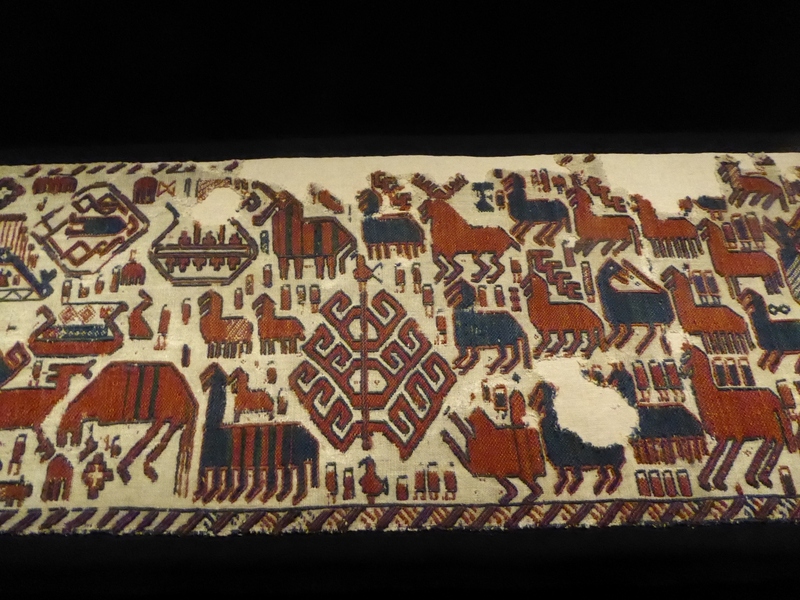 The Överhogdal Weaves are a collection of 5 ancient Scandinavian weavings, which have been dated to between 800 and 1100 AD. They were discovered in 1910 in a church in Jamtland, Sweden and are held at Jamtli, the regional museum in Ostersund, Sweden. The images have been interpreted in several ways. Ruth Horneij interpreted them as a mixture of stories from Norse mythology and Christian imagery. In her interpretation, the tree structure is Yggdrasil, the ash tree of the world and to the left of it Odin's eight - legged horse. Horneij, Ruth (1991). The Bonades from Överhogdal . Östersund: Jämtland County Museum.